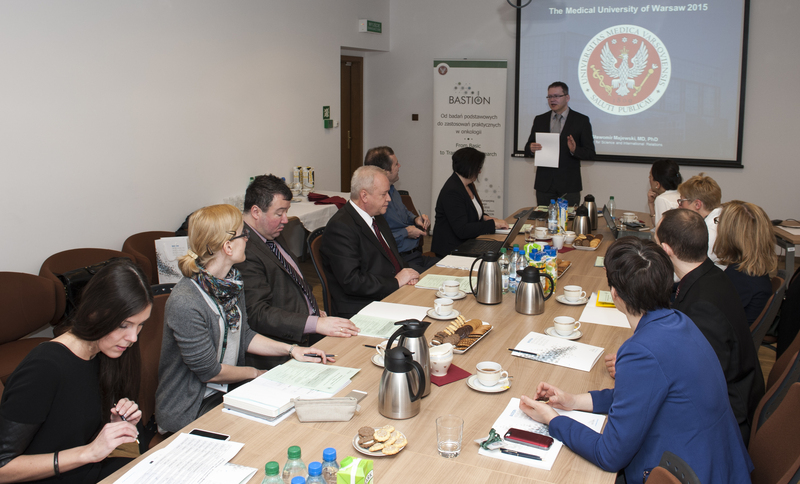 On 29 and 30 January 2015 the first meeting of BASTION project evaluation took place at the Medical University of Warsaw. The main objective of the evaluation is the assessment of changes which take place at the Medical University of Warsaw (MUW) in connection with the execution of the project as well as project-related increase in the potential of MUW in the implementation of basic and translational research in oncology. The first round of the expert evaluation was carried out by Dr Ali Gure from Bilkent University and Prof. Christel Herold-Mende from University of Heidelberg.